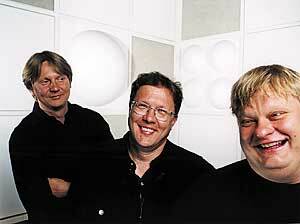 'Virtuosity in jazz from Finland"
They have been Finland's best known jazz group for 16 years. Their 5th CD 'High Standards' was released on the prestigeous Blue Note label in late 2003.Their musical virtuosity and zany approach to the jazz idiom continues to attract wide and diverse audiences around the globe. 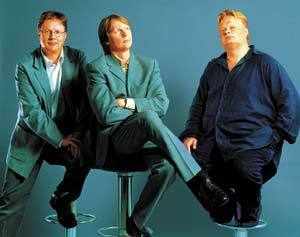 For 16 years and with 2500 live concerts, Iiro Rantala - (piano), Eerik Siikasaari (bass), and Rami Eskelinen (drums) have been touring the world, and across five continents critics and enthused jazz, classical and even pop audiences are applauding them. It's Trio Toykeat - definitely entertaining, zany and beautiful, technically brilliant, unconventional, occasionally wicked, but always uncompromising. 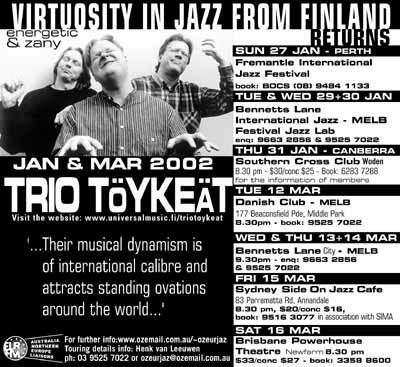 "..A virtually unbroken torrent of in-your-face virtuosity, leavened with a delicious sense of humour and a daring eclecticism".."Judging by this concert you can see why these three are gaining a reputation as one of the hottest properties in the jazz world today." - Gil Goldstein, pianist/ arranger, New York. For 15 years - with 2000 concerts in 60 countries - their musical virtuosity and zany approach to the jazz idiom continues to attract wide and diverse audiences around the globe.